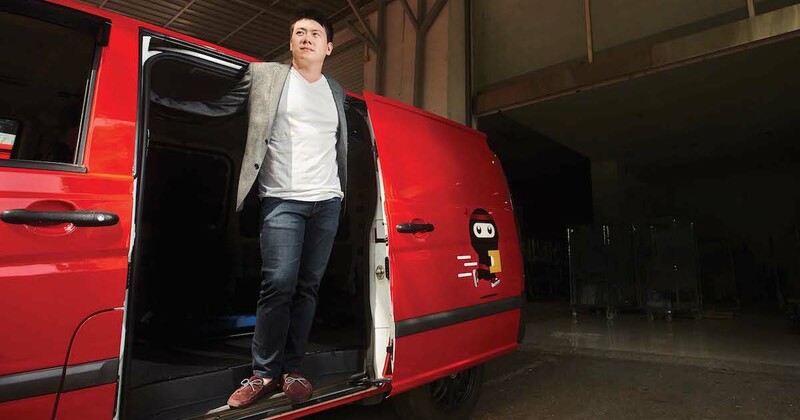 Lai Chang Wen, the 31-year-old CEO of Ninja Van, had a strong entrepreneurial streak in him since he was a young student. When he was still studying at Raffles Institution and Raffles Junior College – Singapore’s most elite schools – Chang Wen would buy used mobile phones at below-market prices from online forum HardwareZone and resell them at a higher price. From second-hand phones, he delved into buying bicycle parts, which he later assembled into a bicycle himself. And again, he would sell the bicycle for a profit. All these ventures was his way of earning extra pocket money. Then when he was a finance undergraduate at Singapore Management University, he started up his first ‘real business’, Marcella, which specialises in made-to-measure menswear. It was ironic to say the least, considering that he has zero interest in fashion (an infamous fashion faux pas of his was wearing a pair of blue rubber slippers to work). According to Chang Wen, he only started up Marcella because he couldn’t find a men’s shirt that fits him well. Marcella automated the process of translating clients’ body measurements into paper patterns, and it was the perfect solution to tailoring clothes that fit like a glove. After graduating from university, Chang Wen worked as a derivatives trader at Barclays Bank while doing business on the side. Although investment banking was probably the best-paying job a graduate can get, Chang Wen quickly realised that he wasn’t cut out for the corporate life and didn’t want to “work for the money”. “Money is a hygiene factor. I wanted to work to make an impact [and] learn something new every day,” he said in an On The Record video interview. He gave up his five-figure salary a year later, and took a 90 per cent pay cut to jump into the business full-time. He slowly built his brand over the next four years, and set up five retail stores islandwide together with his three other business partners. During his six-month stint in China setting up a factory for Marcella, he decided to elevate his business by stepping into e-commerce. But (no) thanks to unreliable courier services, many of his customers’ deliveries were either delayed or lost. When he realised that Singapore’s logistics services wasn’t optimised for e-commerce, he wanted to change the game. He noted that when delivery problems came up, customers couldn’t contact the couriers and they could only afford to play the waiting game till their parcel arrives. “That’s not what e-commerce was meant to be,” he said. 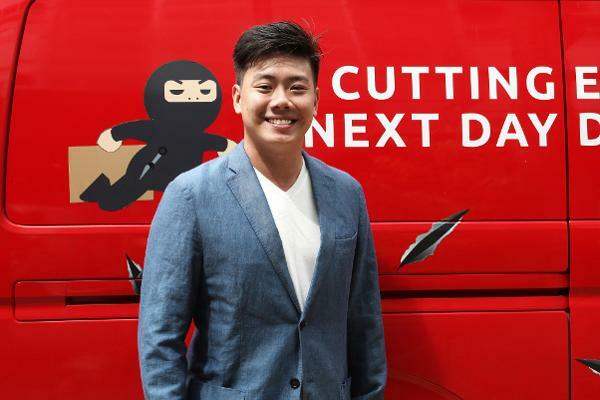 “What sparked me [to set up Ninja Van] really was that we needed to deliver the e-commerce parcels for Marcella well, and no one could really do it in Singapore,” he told e27. He soon gave up Marcella to the other co-founders, but emphasised that he did not regret the journey for it helped point him to another market opportunity. He went on to set up “tech logistics” company Ninja Van in 2014 with two long-time friends – Shaun Chong, 35 (now CTO of Ninja Van) and Tan Bo Xian, 31 (COO of Ninja Van). With an “irrational confidence” that they could solve the problem, the trio invested “hundreds of thousands of dollars” from their own savings and early investors to kickstart Ninja Van. Chang Wen was only 27 then, and all three had zero experience in logistics. But the fact that they were greenhorns in the industry didn’t faze them at all. All it meant was that they had to work doubly hard – or in his words, “work like a dog”. The learning curve was steep and with no employees at the start, they had to do everything themselves. This included developing the website, meeting clients, sorting parcels, and conducting deliveries. Each of them would make 10 deliveries a day in a van that would constantly break down. This only worried Chang Wen’s parents further, for they felt like he traded a lucrative job to be a “van driver“. Furthermore, the team were working 20 hours a day, six days a week. They spent their nights sleeping on a mattress on the office floor, and all their waking hours learning the ins and outs of the delivery process. They examined the entire life cycle of a parcel – from pick-up to drop-off – and worked on improving every delivery stage using technology and algorithms. Instead of manually sorting their parcels, they use their smartphones to scan packages, which allowed them to instantly find out parcel information such as where the parcel is heading and what should be done with it. They also tapped on mapping technology to plot the best delivery route so drivers could deliver more faster, while saving on fuel costs. With technology forming the core of their business, Chang Wen believes that it is what sets them apart from the rest of their competitors. As his previous startup Marcella demonstrated, logistics is a key factor in the e-commerce landscape. If consumers can’t get their goods cheaply, on time, and safely, then there’s essentially no business for them. While this mantra is true, Chang Wen said considering the volume of parcels they handle in a day, screw-ups are bound to happen. They handle 100,000 deliveries a day in Singapore, and this volume can multiply threefold during peak shopping periods, such as during 11/11 and 12/12 sales. The Singapore office employs 400 drivers, and a total of 10,000 drivers regionally. When parcel volumes increase exponentially, it’s difficult for them to expand their driver fleet overnight. To cope with the surging demand, Ninja Van works with other logistic providers to increase its delivery capacity. For instance, it offloads deliveries to McDelivery – McDonald’s food delivery arm – when it experiences a lull in operations. 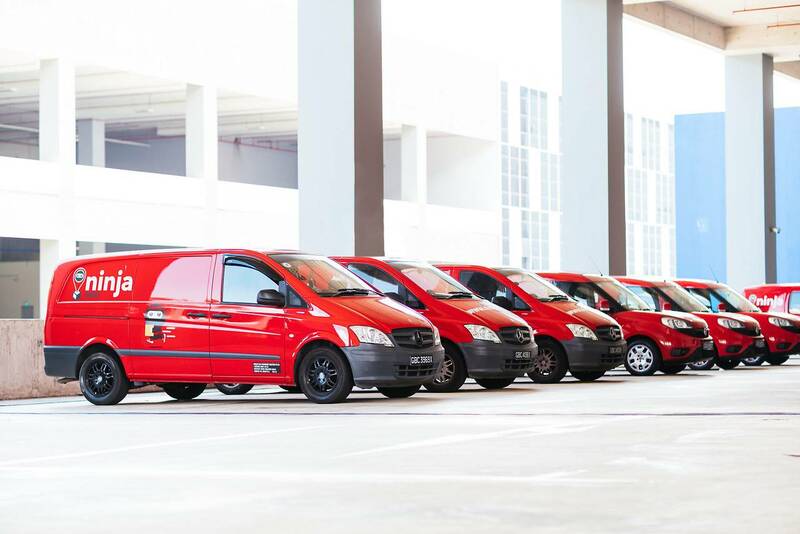 Partners that pay for this arrangement can tap Ninja Van’s technological infrastructure to optimise their own deliveries; and likewise, they can employ Ninja Van’s fleet to help with their operations too. We believe in sharing the market with a few of our key competitors. When peak comes, we think it’s better to help each other rather than kill each other. Despite the sharing of the backup fleets, Chang Wen assures that their systems still have total control and “full traceability” of their parcels. He also expects people to be unhappy during such peak periods, but highlights that they make a conscious effort to notify customers beforehand to expect delays. When complaints do come pouring in, Chang Wen said that he no longer takes every single complaint and criticism to heart. “It’s really not worth to kick yourself or lose sleep over it. If you do, you’ll never get to sleep because there will be problems every day,” he said. 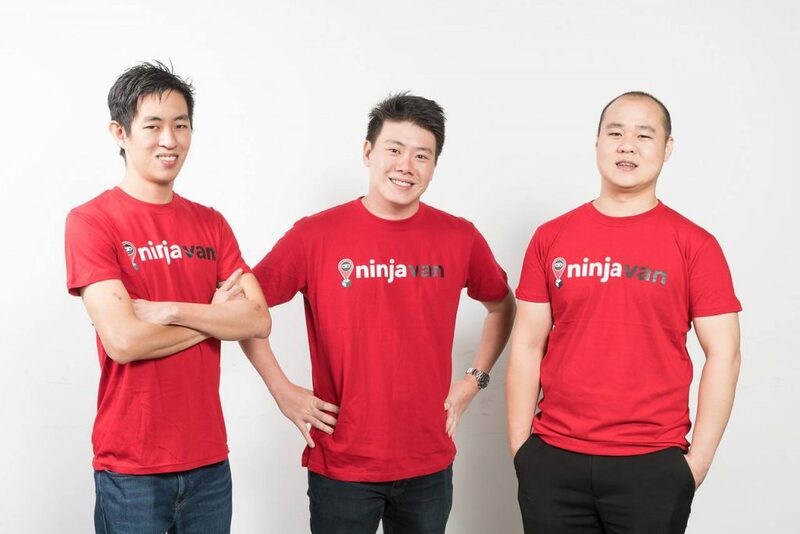 Ninja Van raised a record amount of US$87 million in its series C round earlier this year, bringing its total funding to US$115.5 million to date. In a span of about three years, the homegrown firm has expanded overseas and made its mark across six other Southeast Asia countries – Malaysia, Indonesia, Thailand, the Philippines, Vietnam and Myanmar. Some might call it a rapid expansion, but Chang Wen feels that “[planting] the seeds early” is a good move. He also mentioned that they’ve broke even in a few markets for now. Commenting further on his business expansion, Chang Wen said that they currently cover about 80 per cent of Southeast Asia. For now, the startup has no plans to venture beyond the region because he feels that their value lies in connecting Southeast Asia to the world. “It’s a coverage game for us and we want to ensure that a Ninja is within reach of every consumer in Southeast Asia,” he said. It’s not so much about the volume of transactions per se, but it’s about bridging the gaps and being an enabler to allow any company to deliver something to anyone within the region. Ultimately, his priority for the company is long-term sustainability, which borders on the same concept as long-term profitability. Our focus is not on market share. For us, it’s better to have a small slice of a large pie, than a whole pie that can barely fit into your pocket.